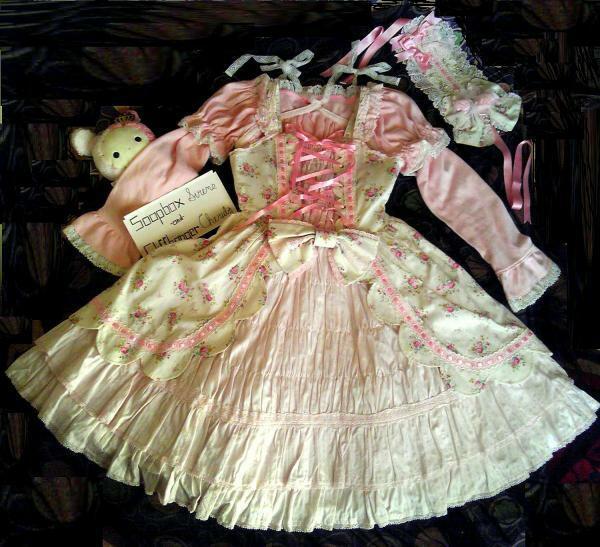 Set of 3: 2 Angelic Pretty, 1 BABY--I ship anywhere (the cheapest is probably $10.80 by boat worldwide, but there are other shipping options). Sizes, shipping, and my feedback are in the main description. -Angelic Pretty Romance Bouquet Jsk is a beautiful floral faux-overdress jsk with scalloping, gathering on the "underskirt," front and back satin ribbon lacing, front and back shirring, a large detachable bow in the front, and some truly unique detachable waist ties in the back. According to the tag, it is also washable, but don't use bleach. 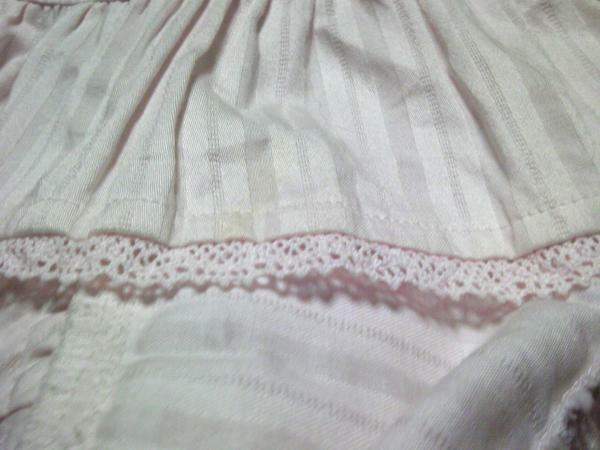 A faint spot on the hem keeps the condition from being Like New. -Angelic Pretty Rose Bouquet Headdress: This matching headdress has two satin bows, one lace bow, one big floral bow, two silk roses, and two dangling pearl chains. Condition: Like New.